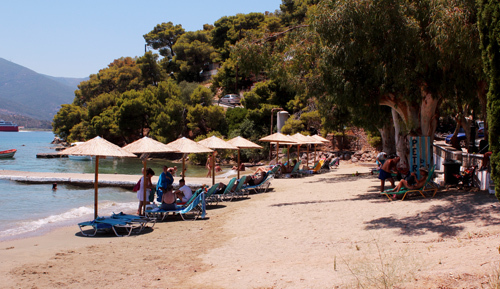 As all other beaches, Neorion has got extra sand this summer. not so much stone. 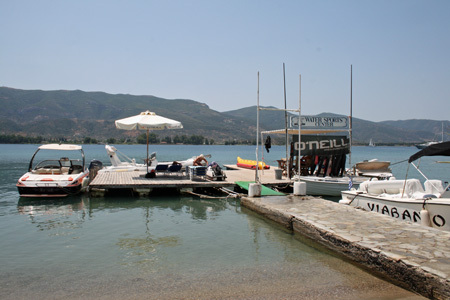 There are tavernas all along Neorion. You can rent sunbeds everywhere. 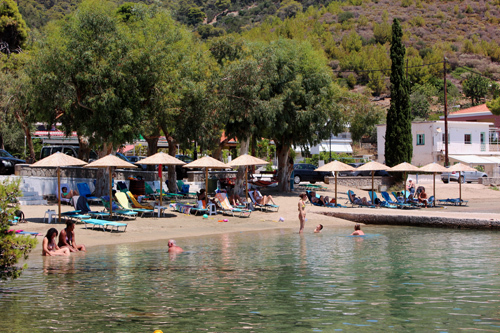 At Neorion there are three beaches to swim at. where you cannot place your beachbag as you like. 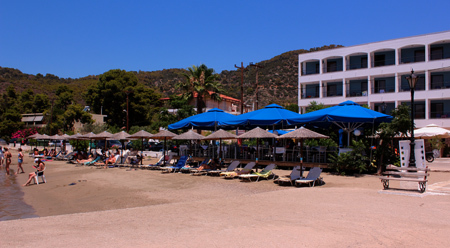 Also outside of Hotel Pavlou there are sunbeds and umbrellas. 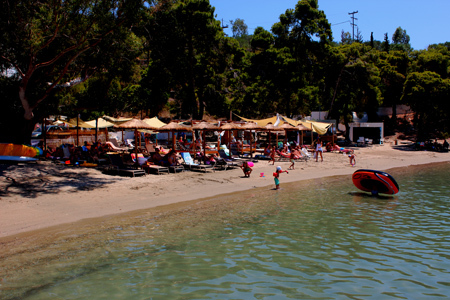 The last beach is the one I think is best: PETROS BEACH. Only shallow sandbottom all the way out. 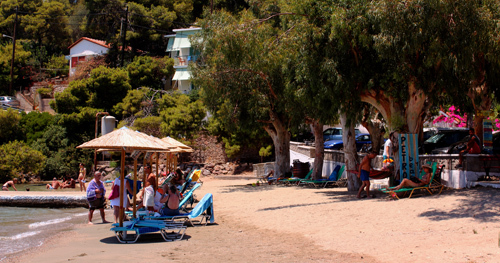 Have a nice siesta in the shadow of the Eucalyptus trees. 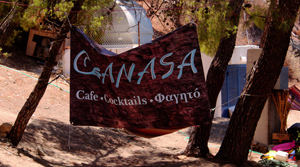 eat at the taverna, you can use the sunbeds for free. Good prices.